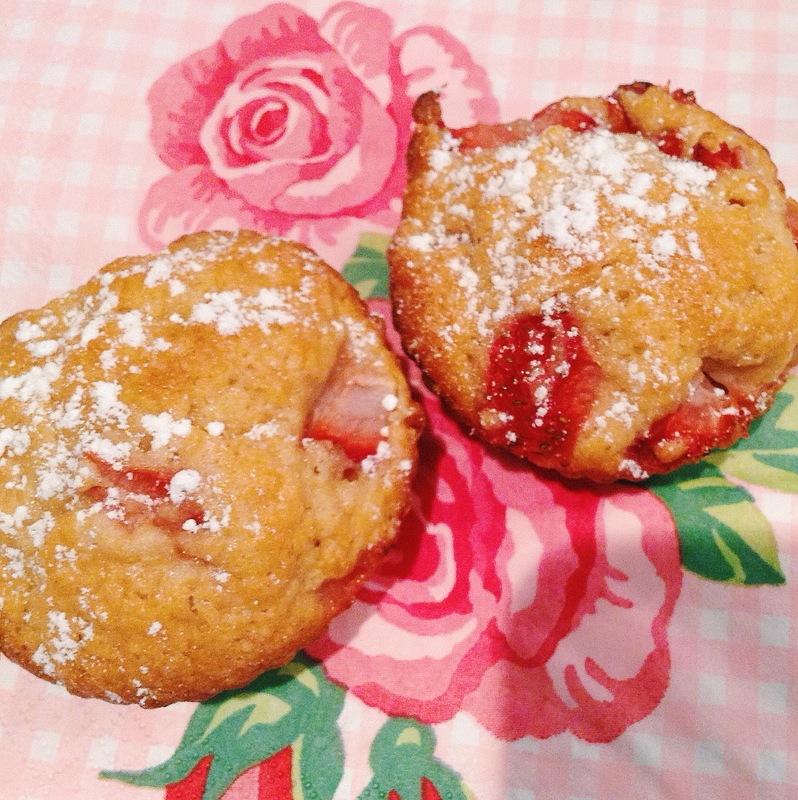 I can’t get enough of strawberries lately, so I decided to add fresh strawberries to my muffin recipe. These turned out like a dessert. Pre-heat oven to 375 degrees. Line and spray a 12 cup muffin tray. In a bowl sift flours, baking powder and sugar. In a separate bowl beat egg, oil, Greek yogurt and vanilla. In a small bowl mix diced strawberries with lemon juice. Mix dry ingredients into wet ingredients with a wooden spoon. Add strawberries and mix until blended. Scoop batter into muffin cups. Bake for 20 minutes or until done. Let cool for 5 minutes and then place muffins on a cooling rack. Using a shaker place powdered sugar inside and top onto cooled muffins. Enjoy!